Smartstraps are basically hardware extensions to the smartwatch that can augment its capabilities or provide brand-new ones. The concept is pretty simple—think of a watchband equipped with, say, GPS sensors, Wi-Fi radios, extra batteries or other sensors. These smartstraps can plug into the magnetic charging port on the back of the Pebble Time, which doubles as a data connection. The possibilities are limited only by makers’ imaginations (and technological reality). It is, of course, still early—the Time itself doesn’t ship until sometime next month—and so there are way more smartstrap ideas floating around than practical examples of the technology. But it’s a fascinating, if clearly still evolving, space. So let’s see what smartstrap developers are thinking of strapping up. 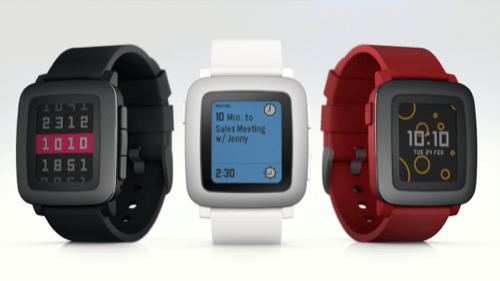 There’s one place you can be sure that will have smartstraps on offer, and that’s Pebble itself. Imagine GPS, so you could track your runs and rides without taking your phone along, or a battery strap, increasing Pebble Time’s battery from seven days to…maybe a month? Then there is always the opportunity for hackers and makers to create straps that bring a special, unique sensor or functionality for a particular use case, like a certain health situation. Migicovsky didn’t elaborate on what he meant by “a certain health situation,” but it’s not hard to imagine some of the possibilities. Perhaps we’ll see straps that can measure a wearer’s pulse, blood oxygen saturation, body temperature—pretty much the bevy of biometric readings boasted by fitness trackers. And while it may be a bit technologically trickier, a glucose reading smartstrap for diabetics isn’t outside of the realm of possibility. Features like that could give wearers more insight into how their bodies react to exercise, or maybe if they’re coming down with something. The more sophisticated the sensor, the more complicated the insights can become; it’s conceivable that a smartstrap could warn a wearer about an impending heart attack. To help good ideas go from concept to reality, Pebble announced a $1 million fund in March that will go towards smartstrap developers seeking crowdfunding. After a month, though, Migicovsky tells me that only one project—TimeDock, a charging cradle for the Pebble Time—has received any portion of Pebble’s smartstrap fund. Why a non-smartstrap earned some of Pebble’s funding isn’t clear—but, if nothing else, it seems like a nice way to charge your watch. Independent efforts, however, appear to be moving forward. Seeed, based in China, is working on an adapter to connect its modular hardware platform, Xadow, with the Pebble Time via its smartstrap port. Xadow’s modules include barometric sensors, NFC chips, and accelerometers, among over a dozen others; determined makers could probably cobble together some interesting smartstraps with those tools. 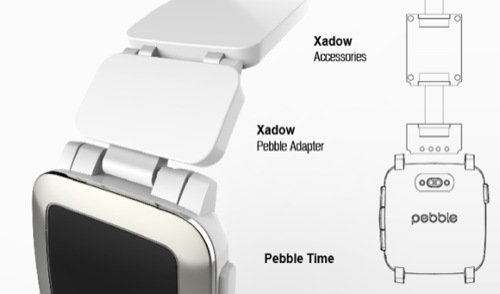 Seeed’s Xadow modular platform will be compatible with the Pebble Time via an in-development adapter. Meanwhile, there’s also Spark, a San Francisco Internet-of-Things startup, whose staff hackers threw together a cellular connectivity smartstrap … in an afternoon. 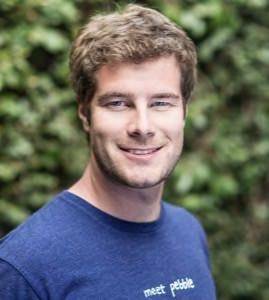 “When Pebble was announcing Time, they talked about their smartstraps, and we were building the Electron at the same time,” Zach Supalla, Sparks’ CEO, told me in a phone interview. The Electron is Spark’s recently Kickstarted cellular connectivity development kit, meant to help makers connect electronics to wireless networks. The cellular connectivity “hackstrap,” made in an afternoon by Spark. The prototype won’t be for sale from Spark anytime soon—or, really, anytime at all, since the company’s main mission is creating tools for companies who are building connected products. So that leaves the rest of us—non-professional makers who have big ideas. Browsing through the Pebble Smartstrap forums reveals a wealth of concepts, but only a few users who might have the technical know-how to try and get them made. Some of the most repeated suggestions offered by the forum’s enthusiastic posters include a game controller of some kind, as well as solar energy or kinetic energy harvesters that could be used to extend the Pebble Time’s battery. “Oh yeah, I heard about the game controller one,” Migicovsky told me. “That sounds ridiculously cool. Right now a lot of people are gaming on Pebble with apps like Pixel Miner. 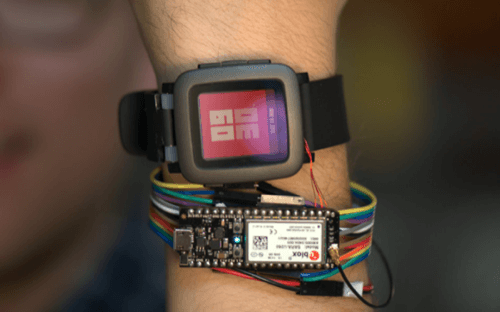 Pixel Miner, a popular game for the Pebble, could get even more interesting with a smartstrap controller. “[That] will be even cooler with a controller,” he added. I’d put kinetic or other energy harvesters in the moonshot category. Hard to do right now, but worth investigating. In the meantime, the CEO agreed that if Pebblers wanted to get smartstraps a bit earlier, a 3D printer might not be a bad investment.  That’s not a brush off for amateur hardware makers who want to jump into the smartstraps game. While not running the company, Migicovsky is getting in on the strap hacking himself.